Hair Loss Prevention - causes of hair loss and how to prevent it. Hair loss is sometimes a normal seasonal occurrence, but losing too much hair probably means there is a problem and some hair loss prevention is necessary. 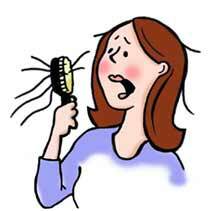 Stress, pregnancy, chemotherapy, certain diseases, and various different medications, can all cause you to lose hair. All these forms of loss of hair can be treated or prevented by a change in lifestyle or by avoiding whatever is causing the hair to fall out. Usually, the hair will eventually grow back. Alopecia Areata is a type of hair loss that is caused by problems with the immune system and is most common in people under 20 although it can occur at any age. Most often it rights itself, but very occasionally the person loses all their hair on the head and elsewhere and the hair never grows back. Experts have not yet figured out why the immune system attacks the hair follicles. There are several types of hair loss prevention treatments for this type of alopecia, which we will not go into here, as it is not common with aging. However, as with other types of hair loss, the patient should be examined as soon as possible so that a diagnosis can be made before the condition deteriorates. 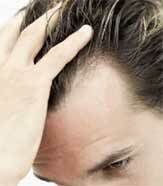 Androgenic Alopecia, or male pattern baldness, is a condition that can affect both men and women as they age. There is no cure, and researches have not yet found out why this condition occurs, although they do know that it is caused by androgens, transforming within the body and attacking the hair follicles. If your hair loss is in clumps or significant enough that you notice large amounts on your pillow, covering the back of your clothes or when you wash your hair. This type of loss of hair does not represent typical male baldness, but it does require a diagnosis. Don't worry. Loss of hair can occur for a number of reasons and can often be treated successfully. A dermatologist or a hair specialist will normally make the diagnosis based on the pattern of the baldness, and a detailed medical history, with information on the prevalence of family loss of hair. The scalp will be examined to assess the state of the follicles to enable the correct diagnosis and treatment. Depending on the reason for the hair loss, it might be possible to prevent, slow down or cure the problem. For example, by avoiding the medications that have been identified as the cause, or by reducing stress if this is the reason your hair is falling out. Eating a healthier diet, especially if your loss of hair s caused by lack of protein or other nutrients. And taking supplements of iron if you are diagnosed with anaemia can prevent further loss and the hair will eventually grow back, if your hair loss is caused by any of the above problems. If you suffer from thinning hair, try to avoid styles which do not damage your hair, avoid using a hair dryer, and avoid hair curlers or curling or straightening devices which all have a damaging effect on the hair. Using elastic bands to tie hair back is also to be avoided. Cutting your hair might help it look thicker and hairdressers usually have experience with this problem and can offer you advice on how you can best camouflage areas where the hair is thinnest. Normally, at least for women, the treatment for male pattern baldness is a topical preparation to be applied to the scalp, which has a negative effect on the androgens that are destroying the hair follicles. It will have to be used permanently or the loss of hair will recommence. There are pills that can also treat this condition, but doctors prescribe them to men and are wary of prescribing them for women for safety reasons. N.B. If you are suffering from any of these problems, please consult a dermatologist or a hair specialist at your local hospital or ask for a referral by your family doctor. The sooner the better as without taking the necessary hair loss prevention measures you may continue to lose hair without treatment.